Devon and Cornwall Police has been named as one of the top 100 gay-friendly employers in Britain. The force was praised by the Stonewall charity for its support of lesbian, gay and bisexual (LGB) police officers. The charity recognised Devon and Cornwall Police for adopting best practice in looking after the welfare of minority groups. A police spokesman said the force was an equal opportunities employer which worked hard to promote equality. Force Diversity Inspector Jim Gale said: "It is particularly pleasing that this has been officially recognised by a national charity which champions the rights and needs of these largely invisible minority groups." Staffordshire Police was named as the top employer, with IBM in second place and the Department for Work and Pensions and Manchester City Council joint third. 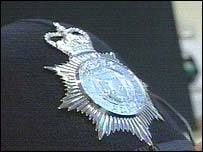 Devon and Cornwall Police was in 78th place.